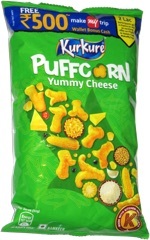 Taste test: These potato chips had a very nice bacon flavor, and they were a big bit among our tasters. The thin-cut chips were very crisp. There was no visible flavor powder, but the bacon taste seemed to be every where. The bacon flavoring did indeed taste like fresh, crisp bacon right off the grill. 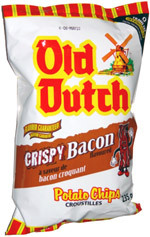 Even our resident bacon connoisseur had high praise for these chips. Smell test: Sort of a greasy bacon smell. Pretty good.